A strange flying woman, who makes climbing seem awfully ridiculous given that you could get to the top of that cliff with an umbrella, once said that a spoonful of sugar helps the medicine go down. Lately, it's been all sugar here on the blog so don't whine as I deliver the medicine. Just open wide and digest the following educational information from the Access Fund. 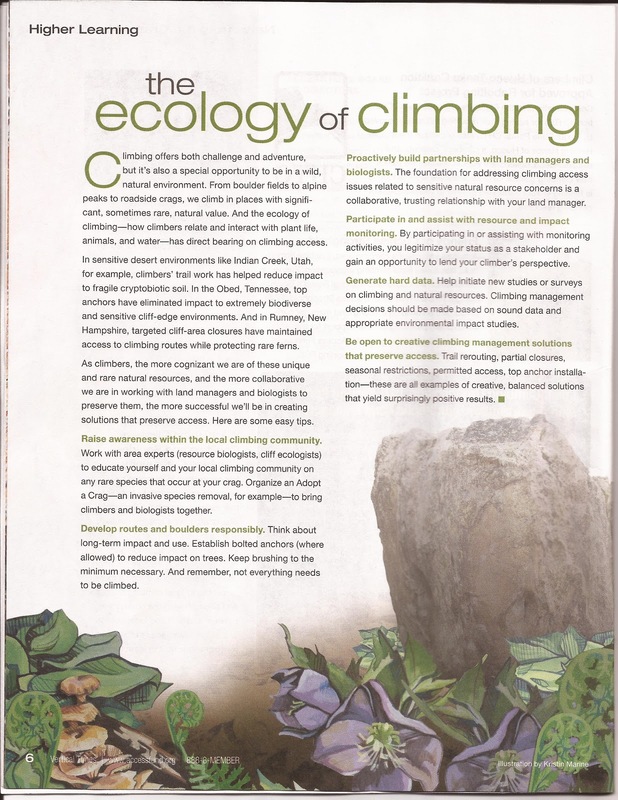 In the recent Vertical Times publication, that I receive from the Access Fund as a proud member, was a piece called "The Ecology of Climbing". It contains important information that is relevant to all who rock climb but I think those persons who have visited Harpers Ferry, particularly Balcony Jr., will find meaning in it more than others, at least I hope. It should also illuminate other actions that we could be taking so allow your conscience to stray into the area of ways you could should be participating (guilt trip). I scanned it as a jpeg so you can read it here or you can view it on page 6 of the recent Vertical Times HERE. If you find this type of material to be interesting then you should check out the Access Funds Climbing Management Planning webpage and their very informative Climbing Management: A Guide to Climbing Issues and the Development of a Climbing Management Plan. Despite rainy conditions Martin and Dan made a go at the Black Tie Affair project. Apparently, the wall overhangs so much that even in the rain it is dry and climbable. Not until the sun came out did they have to abandon their efforts as it became too hot to hold the crux holds. They were not able to put the whole climb together on lead but they have improved and done the most difficult crux. They have provided some great photographs for your viewing pleasure. Many thanks to Dan and Martin for being so generous and open with their fun. First things first. Thanks to some community harassment Dan has his safety in order. The latest exploit is left of the flat face where the Sign.. 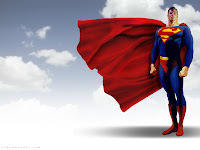 Right now you're asking yourself "Why the Superman image? ", hold that thought. First, what happened to winter? The season of prime friction has passed. Spring has sprung and it's time to put away the cold weather gear and grab your shorts. It's time to break out the deep buckets of chalk, the moisture is back. Fantasies of a cold snap with some nice ice are going to have to be stowed in the attic with your snow pants, flannel shirts, and wooly caps. Here is a chance to showcase your film making skills, network with other climbers, share your favorite lines and locations, and win some booty. I know there are "amateur" film makers out there who are capable of high quality work. Deadline is October 9, 2012. Video Length <= 3:00 minutes. Also, Issue #10 of Climberism is now out.